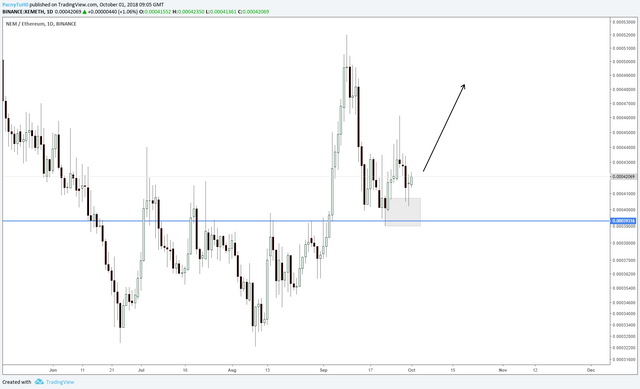 NEM has dropped around 91% from the all time high and it seems that price has been in accumulation in the last few weeks. 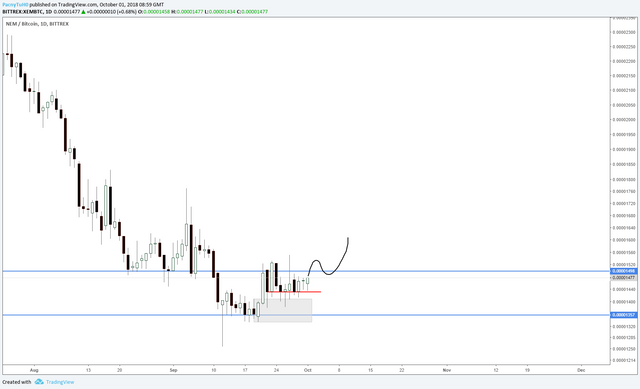 Support levels in XEM/BTC have been holding and I believe there is more upside in the near future. The red line support did not let price close below it last week, which could mean that current prices are seen as very cheap.